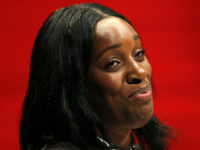 Journalists are again among the least trusted professions in the UK according to the annual Ipsos Mori Veracity Index. 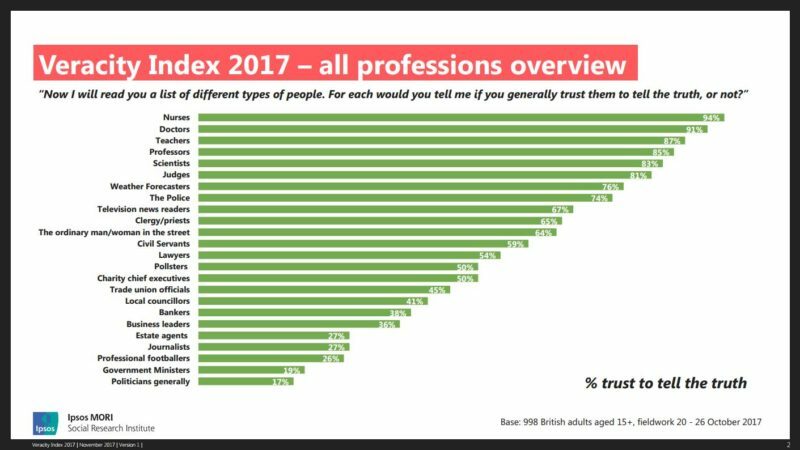 Just 27 per cent of Britons surveyed trust journalists to tell them the truth putting them alongside estate agents and professional footballers. Only politicians rank lower in the survey which saw 998 adults quizzed in October this year. 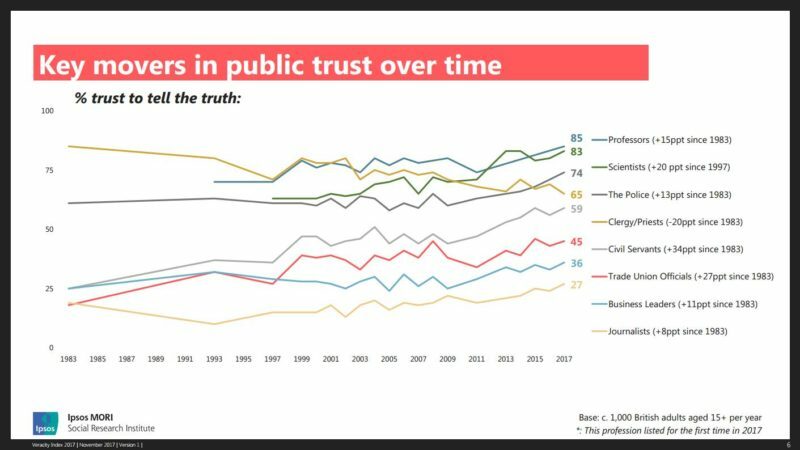 The good news is that trust in journalists has at least improved since the survey began in 1983. Back then only 17 per cent of Britons trusted journalists to tell them the truth. 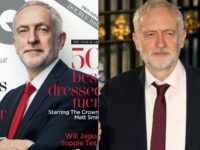 Trust in journalists hit a low point of 12 per cent in 1993, but has improved since the hacking scandal of 2011 when the survey found that 21 per cent of Britons trusted journalists to tell them the truth. There is also better news in the survey for TV journalists. 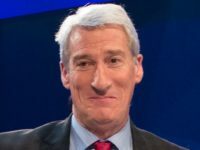 Some 38 per cent trust TV news readers to tell them the truth, ranking them above priests (35 per cent) and the person in the street (34 per cent). Research released earlier this year found that UK newspapers are the least trusted in Europe. 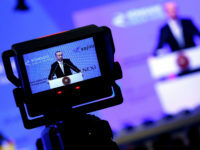 A new report published today by the Reuters Institute for the Study of Journalists may shed some light on why journalists aren’t more trusted. It analysed thousands of responses to the 2017 Reuters Institute Digital News Report in which readers were asked to give reasons for their lack of trust in news media. Co-author Nic Newman said: “These findings should be a wake up call for journalists, platforms and regulators. Rebuilding trust will require all interested parties to work together. 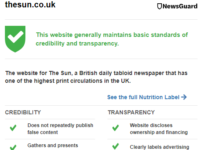 We need better incentives to create and showcase more accurate and more trusted content”. Some 25 per cent of people surveyed for that global study said they did not trust news media. The most likely reasons given were: bias, exaggeration, sensationalism and low standards. The Reuters report was based on surveys of 2,000 people in each of 36 markets. Download the full IPSOS Mori Veracity Index 2017. Where to subscribe to the page. Please tell.